The “Dear Evan Hansen” tour has recouped after 12 weeks on tour, producer Stacey Mindich said Tuesday. The tour launched on Sept. 25 in Denver and later broke box office records at the Ahmanson Theatre in Los Angeles, grossing more than $2 million for five consecutive weeks, and at the Curran Theater in San Francisco. It was the fastest-selling show in venue history at ASU Gammage in Tempe, Arizona. The tour is currently playing the Paramount Theatre in Seattle and has stops scheduled in Chicago, Boston, Washington, D.C. and more, with plans to return to the Ahmanson Theatre as part of the 2020-2021 season. “We look forward to ‘Dear Evan Hansen’s” long life on the road and can’t wait to bring the show to more of our markets in the seasons to come,” Lauren Reid, chief operating officer of the John Gore Organization and Broadway Across America, said in a press release. The Broadway production recouped its $9.5 million capitalization in July 2017, after eight months of performances. 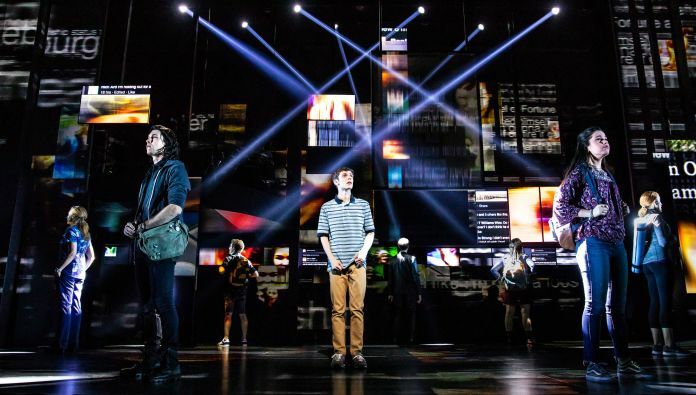 In addition to the tour and the Broadway production, “Dear Evan Hansen” is launching a production at the Royal Alexandra Theatre in Toronto in March 2019 and a West End production at the Noël Coward Theatre later this year.